Sony has announced the Alpha 7S II, an update to their low-light king, the A7S. This update brings the same 5-axis in-body image stabilization found in the A7 II and A7R II to the A7S camera, as well as 4K video recording. Resolution is the same, at 12.2 megapixels, probably in order to keep noise levels as low as possible. Like the predecessor, the ISO can be set from 50 to 409,600 (through ISO expansion; standard ISO is only up to 102,400. ), and the 35mm full-frame sensor. The BIONZ image processing has also been optimised for improved noise reduction in the mid-high end of the sensitivity range. The Sony A7S II features 4K video recording at 30fps with full pixel readout and without pixel binning, using the Sony XAVC S codec. At 1080p, it can record up to 120fps, allowing for a 4-5x slow motion footage. Video capabilities are also improved with the addition of new profiles: S-Gamut3.Cine/S-Log3 and S-Gamut3/S-Log3. These new profiles deliver a wider dynamic range (up to 14-stops) and makes colour grading easier in post production. S-Gamut/S-Log2 is also supported. The AF capabilities on the A7S II has been improved over the previous model, and now offers 169 AF points for fast and precise auto focussing. Sony says the AF speed during video recording is twice that of the A7S. Finally, the XGA OLED EVF has also been upgraded with a magnification of 0.78x, which Sony claims to be the world’s highest. It also features ZEISS T& Coating to reduce reflections on the viewfinder. 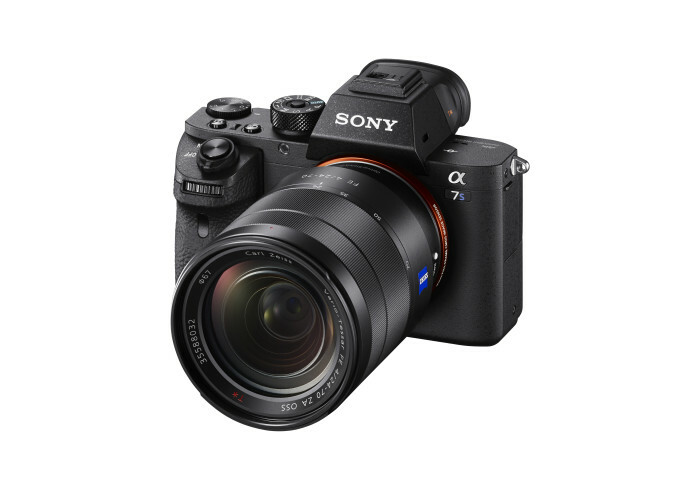 The Sony A7S II will be available in Europe from November. No details on pricing are available at this point of time.